It seems pretty fair to say that comic book movies are taking over Hollywood at the moment and there are still a huge amount of new comic book movies coming our way over the course of the next few years. While the Marvel Cinematic Universe has been dominating on the comic book movie scene, Warner Bros. and DC are working hard to catch up, with a number of exciting projects coming our way. This brings us to the new movie Suicide Squad, which hits the big screen around the world this week, with a number of lucky people getting to cast their eyes on the premiere for the film. One such lucky star is the beautiful Xenia Tchoumitcheva, who recently attended the Suicide Squad premiere and has admitted that she absolutely loved the movie. Xenia took to her official social media accounts to post pictures from her time at the Suicide Squad premiere, where she looked absolutely stunning. Along with the picture, Tchoumitcheva added the caption, "Thanks for having me @warnerbrosuk at the #suicidesquad premiere. I had a wonderful time and the movie is absolutely💥 #suicidesquadpremiere." We hope you are right, Xenia. While Xenia Tchoumitcheva is clearly a big fan of the Suicide Squad movie, it seems that not everyone feels the same. 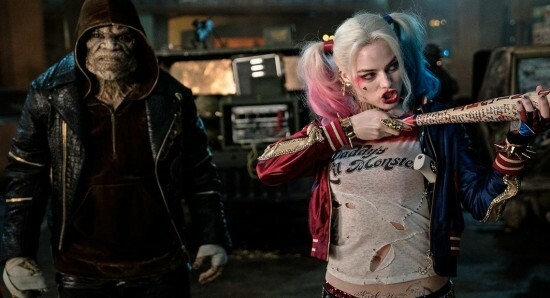 There have been plenty of reviews from movie critics over the past few days, with many of them being very negative towards the Suicide Squad film. We are going to have to wait to see the film ourselves before making judgement.